Serenity and rustic luxury await at this lovely retreat. Acosta Pines sits on 6 acres and is conveniently located less than an hour away from both New Orleans & BR. Host a wedding, family reunion, or just a weekend get-a-way. Try our special amenities for the full luxe experience. Beautiful, rustic luxury. This charming country ranch home has recently been professionally decorated with every comfort attended to. Acosta Pines sits on 6 acres and is surrounded by the tranquility of the great outdoors. Family friendly, with a bunk bed room customized with children in mind. Fireplace in the large open living room and in the master suite and bath. Large tv's, luxury bedding,many books and vinyl records to enjoy! 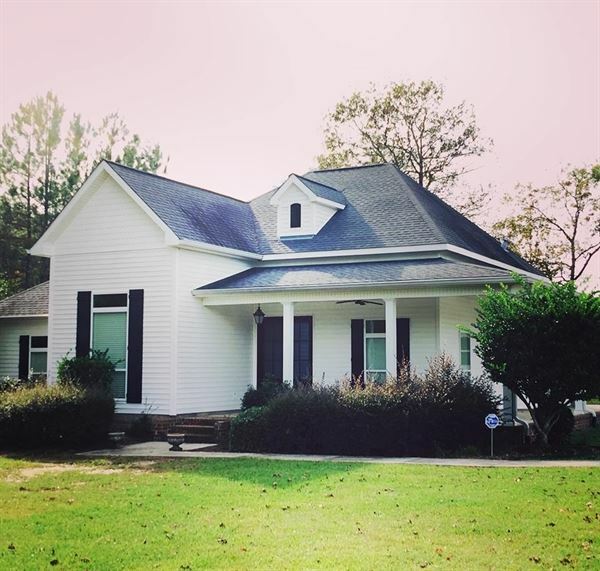 Cozy, serene porch and views across the pond, piney woods, and grazing horses. Small farm and working ranch nearby. This listing also offers additional amenities at your request; including catering, event planning, spa services, and many different excursion options with knowledgeable guides to make your stay customizable and perfect in every way. Situated on the North Shore of Lake Ponchartrain near charming antiquing towns and less than an hour away from both New Orleans or Baton Rouge, and the historic plantations of the River Road. Guest Access RV docking port (available upon request). 8 acres to venture, including a beautiful lake. Fire pit, BBQ pit and utensils. A stocked fish pond and fishing equipment. Guided tour of Sancherosa ranch animals upon request.